Since its inception seventeen years ago, Arts Mag has shone its spotlight on the artistic talents of the Collingwood School student body. We have celebrated art in a kaleidoscope of forms by showcasing the prowess of painters, drawers, dancers, orators, musicians, singers, actors, poets, writers, sculptors, photographers, designers, and more. From budding artists to seasoned veterans, the students and teachers who have graced the pages of Arts Mag have shared their inspiration, their philosophies, and their passions vis-à-vis life and the role of art. We have even followed the creative path of some of these individuals beyond Collingwood; some alumni have continued to pursue their art as a pastime and others as a post-secondary career. Some have even experienced the transformative energy of art, and have discovered new or different means of artistic expression. As Spring approaches us with bird songs and cherry blossoms, let us welcome this season’s edition of artists! Without Winter, Spring would not simply be as sweet. With this year’s especially long winter, spring could not feel warmer and more welcomed. The artists of Collingwood continues to leave our community awestruck and mesmerized with their talents and hard work. From dancers to painters and to writers, art continues to thrive and bloom, leaving its light in all our hearts. We hope that by reading about some of the artist’s featured this term, you will also be inspired to pursue whatever form of art speaks to you. ​Without further ado, please sit back, relax, breathe in the warm spring air with a hint of lavender and dew drops and enjoy the Spring 2019 edition of Arts Mag! ​Meet the dedicated team of directors and writers behind this issue of the Collingwood Arts Mag! Mme Mahasti Mofazali is a French teacher, painter, singer, art and antique collector. She loves to travel to different places and immerse herself in the culture of the countries she visits. Mme Mofazali has a Masters degree in French Literature and loves teaching about Francophone cultures through literary works. She has been the director of Arts Mag for the past 20 years. She organizes Cav Prom but Arts Mag is her favourite co-curricular activity because it gives her the chance to discover the hidden talents of the Collingwood community. Laura Hou joined Arts Mag in grade ten and fell in love with it ever since. She loves learning about the artists in school and writing their stories. In her free time, she can be found reading a book, writing short stories or taking a dance class at Harbour Dance Centre. Laura can’t wait to make the best of her last year here at Collingwood and in Arts Mag. Sunny Li is thrilled to be returning for her fourth year in Arts Mag! She loves immersing herself in an artistic environment, from actively pursuing visual art, photography, choir, to decorating her room with Polaroid photos and LED lights! She is looking forward to learning about the talented artists and meeting all the dedicated members for her final year at Collingwood. 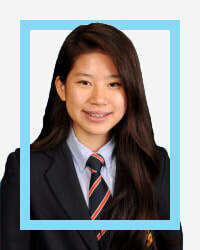 Michelle Liang is a grade 12 student who has been part of Arts Mag for four years. She is very passionate about culinary arts and finds inspiration in other artists and exploring new ideas. Charlotte is in grade 12 and is joining Arts Mag for the first time. Although she is not part of any art courses this year, she enjoys creative writing, photography, and art journalling when she has the time. She is excited to learn more about the many talented artists around her in her final year at Collingwood. 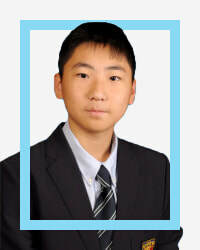 Justin Fan is currently a grade 12 student. As an enthusiast of the liberal arts, he joined arts mag for the extra practice, in hopes to encounter every style of writing. 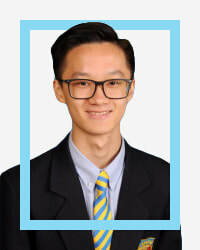 He is a member of the Collingwood Senior Rugby Team, and his biggest academic passion relates to Economics – Justin strives to become successful in the field of business in the future. Elaine He has been taking art for 4 years, and this is her first year as a member of arts mag. She enjoys visual art as well as performing art, currently participating in art level 2 and Advanced Hip Hop. She is good at water-colour as well as pencil sketches. She likes art because it allows her to relax and be creative. Hannah Seaton is a grade 12 student and is new to Arts Mag this year. She has a love for visual arts and a newly developed passion for writing; making her very excited to see what the year ahead brings. 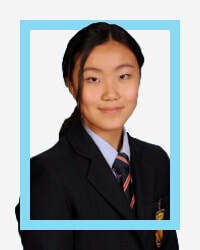 In her free time, she enjoys laughing with friends, reading and listening to music. This year, she hopes to expand her knowledge on different forms of art while showcasing a variety of Collingwood’s talented artists. Cindy is in grade 12 and is very excited to join the Arts Mag team this year. Having transferred to Collingwood in grade 9, she finds it the best school ever. She hopes to learn more about the community by getting to know some of its most talented artists and musicians through Arts Mag. 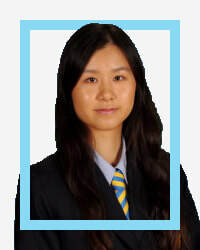 Cindy is also involved in Ad Verum and Econ Club and enjoys reading, painting, and jogging in her spare time. Rachel Na is a senior student at Collingwood and this is her first year writing for Arts Mag. She is an avid foodie, experimenter of new things and dedicates her free time to playing volleyball and basketball. She also enjoys spending time with friends and family. Rachel is looking forward to discovering the artistic talents of her peers through Arts Mag. 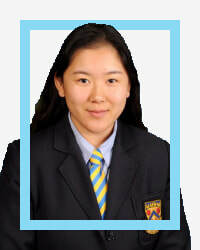 Helen Peng is a grade 11 student at Collingwood, and this is her second year in Arts Mag. Just as much as she loves to draw, she has a passion for promoting the arts to the Collingwood community. Her hobbies include sketching, reading, obsessing over musical tunes and being a weeb. Selin Ozgur is a grade 11 student at Collingwood School who is new to Arts Mag, and is very excited to be part of the team. Ever since she was a young child, Selin has always had a deep love for the arts- specifically visual arts, and its means of expression. For this reason she is very eager to showcase the various artistic talents that Collingwood has to offer. In her spare time she enjoys sketching, reading, and hiking. 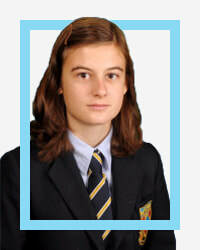 ​Sophia is a grade 10 student who is now entering her second year in Arts Mag. Her passions include soccer, service, baking and dogs! She has always had an interest in creative writing but since joining Arts Mag has sparked an interest in doing interviews and is excited for this year! This is Chloe’s third year in Arts Mag. She is eager to learn more about her fellow artists at Collingwood, discovering various talents whilst honing her prowess in writing. 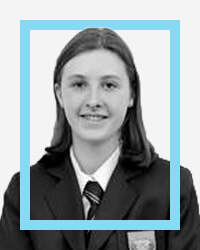 Chloe cherishes the arts and her favourite pastimes include reading, writing, singing, and playing the clarinet. Clara Chalmers, a returning member of Arts Mags and newly minted grade ten, agrees with Jane Austen in the statement “I declare after all there is no enjoyment like reading.” From this passion springs a love for writing, which she hopes to exercise this year in Art Mag. Clara, although not as proficient in other creative forms, is eager to immerse herself in Collingwood’s bustling arts culture. In her free time, she enjoys perusing victorian literature and drinking tea. This is Remy Li's second year being apart of the Collingwood's Arts Mag; she's a Grade 9 student who's passionate about art and music. She loves to explore in the world of art and create her own pieces over her free time. Remy's very excited for the upcoming year to meet more people who have the same interest in art just like her. This is Jason’s first year joining Arts Mag, he loves to try new things. Jason enjoys supporting artists around the school, and he loves how there are no limits in creativity. Some of Jason’s hobbies include camping, drawing, playing volleyball, and hiking. Jason is looking forward in meeting the student artists this year. Larina is a Grade 8 student at Collingwood, and this is her first year at Art’s Mag. She loves to write, and she’s also passionate about the performing arts. Her main hobby is reading. She joined Art’s Mag because she is interested in meeting talented, inspiring artists.